Completing a transaction as an influencer using Intellifluence is easy. Upon logging in, you can view all of your current and prospective (those with the Opportunity status) transactions by clicking the Transactions menu link. 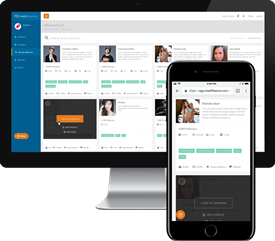 If you’re a Talent Manager or part of a talent agency managing multiple influencers, you can manage the entire process from your talent manager account. If you are pitched by a brand, you will see the transaction listed here. Similarly, if you apply for an offer via the Marketplace, you will see the pitch from the brand if they approve your application. Once you accept the pitch, the transaction has officially kicked off. Related: What is considered a transaction? From within the Transactions screen, you’ll want to make sure to keep an eye on the Latest Status. If you see a Needing Action status, this means it’s your move and you should complete the next required step as quickly as possible! By clicking on the envelope icon, you will be able to see all of your correspondence with the brand for each specific transaction. After you have accepted the pitch, the brand will send you the product or provide ordering instructions if you are to order the product directly from their site (or wherever they specify). The best way to encourage a successful transaction is to make sure you are offering good communication throughout. Once you have received the product (or are able to access the service, if applicable), make sure you update the transaction status so the brand can be on the same page. As mentioned earlier, you will update the transaction from within the message thread of the applicable transaction. Make sure that you are able to complete the transaction by the due date stated within the pitch (scroll to the bottom of the message thread to review the required work details associated with the pitch). If you have questions or concerns about the timeline or your ability to complete the work on schedule, be sure to message the brand so they can work things out with you. Once you have posted the review on whichever platform(s) the brand specified, it’s time to Mark as Posted within the message thread and provide the link to the review, along with any notes. This will kick off a 7-day period where the brand can review your work (most brands review and either mark as completed or request revisions in a timely manner). If there are any issues with the work you completed, the brand has the opportunity to request revisions. Otherwise, the brand will mark as completed. If you are receiving cash compensation, this kicks off a 15-day trial period to ensure all completed work remains active. Once this trial period has ended without any issues, you will be able to withdraw the funds from your Intellifluence account to your linked PayPal account on the 1st or the 15th of the month (whichever date occurs first) if your earnings balance is at least $25. If your earnings balance is less than $25, we encourage you to apply for more Marketplace offers, complete more transactions and enhance your profile so you can encourage more pitches (and accepted Marketplace applications) from brands and meet the payout eligibility requirements. All Intellifluence Payments transactions are backed by the Intellifluence Promise, so you can be confident that you will be paid for your work. If you ever run into an issue with a brand, try your best to work it out with them inside the message thread. Most situations can come to a mutually beneficial conclusion by simply offering clear, polite communication. If you have tried to resolve an issue but are not reaching a conclusion, you have the ability to flag a transaction or contact an Intellifluence Admin and we will get involved to mediate. You also have the ability to request a transaction be archived if you don’t want to move forward. Keep in mind, once you have accepted the pitch, you are bound by the terms of the pitch (as well as the Intellifluence Terms of Service). If you ever have any questions, we are here to help.